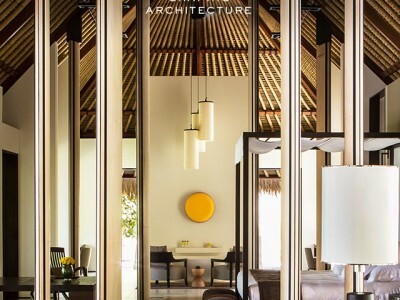 Within each villa’s walls, detail has been crafted to deliver warmth, grace and harmony, with lofty cathedral-style ceilings framed by seven-metre-high hand-crafted doors. 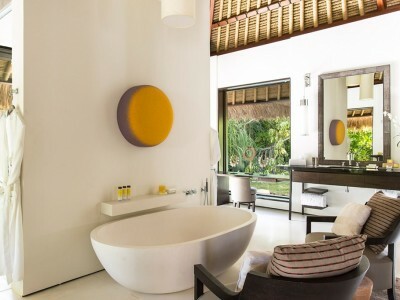 The graphic architecture is enhanced by stylish interior design furnished with materials from the Indian Ocean and natural textures – teak, rattan, bamboo, thatch and coconut shell. 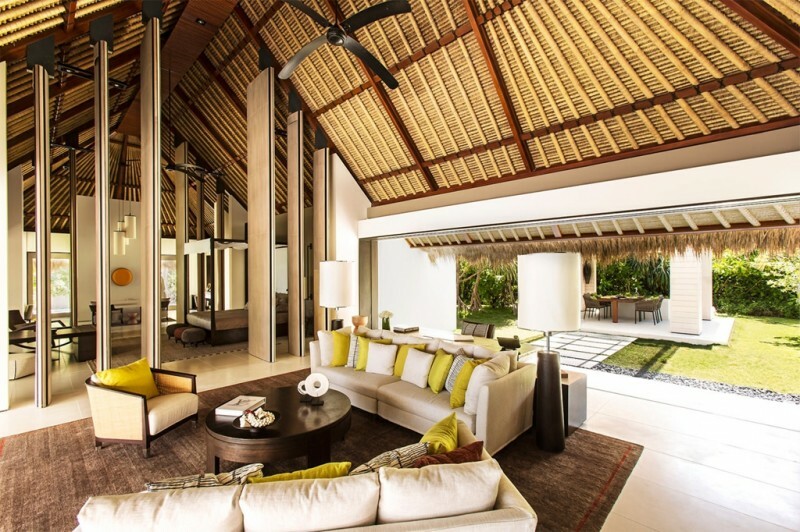 Set amidst luxurious gardens, the 15 one or two-bedroom Beach Villas, ranging from 170 to 215 sqm (1,830 – 2,315 sqft), are particularly suited for families. 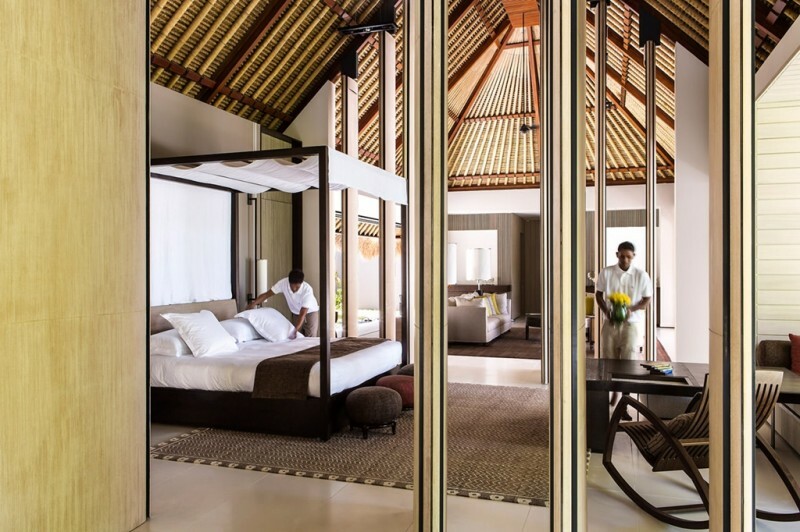 The main villa hosts a master bedroom and a relaxation area with daybed. 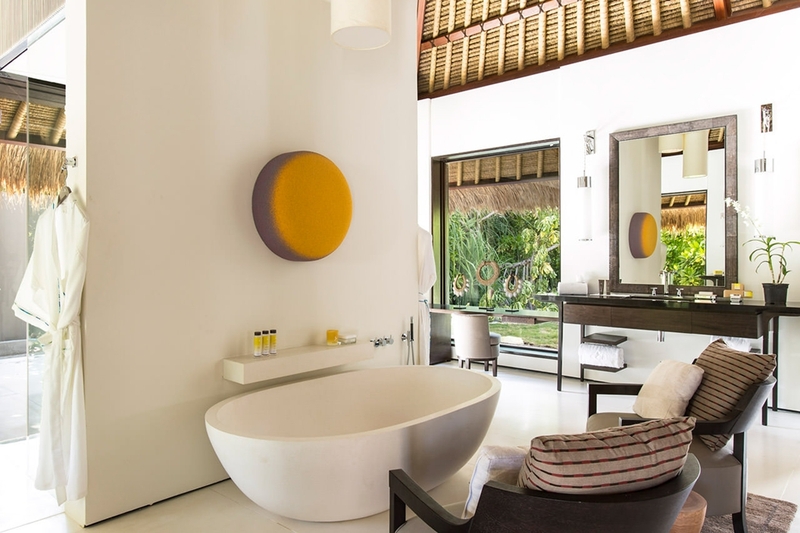 The second bedroom, with its dedicated access, features an en-suite bathroom and rain shower. 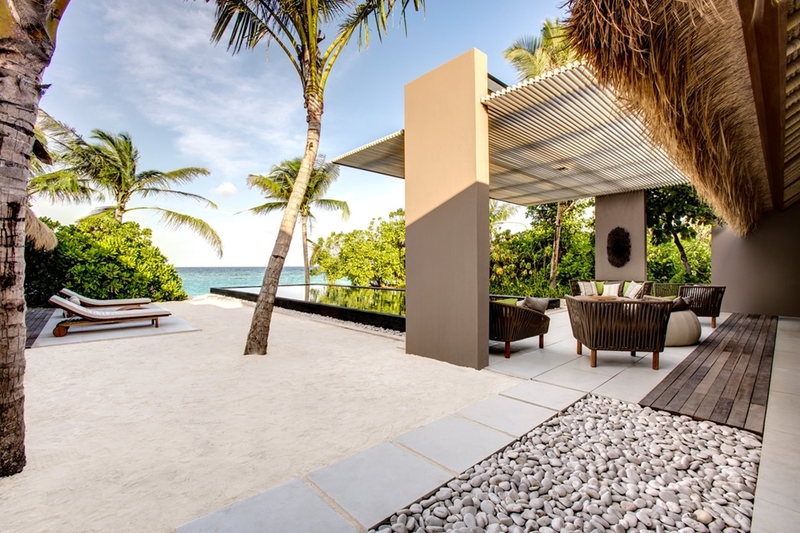 Outdoor terraces invite to relaxation next to the 12.5-meter-long swimming pool or on the private white sand beach with direct access to our house reef. 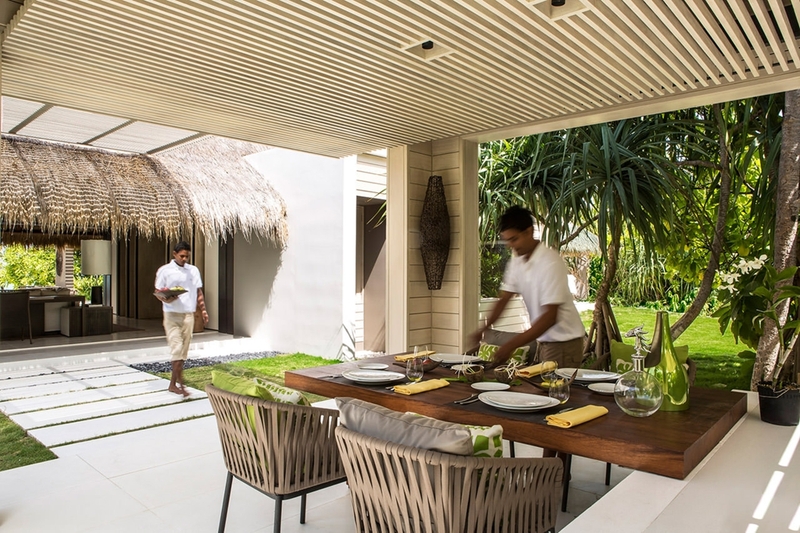 An outdoor dining pergola set in the villa’s lush private garden is the ideal place to enjoy a convivial meal specially prepared by live-cooking chefs. 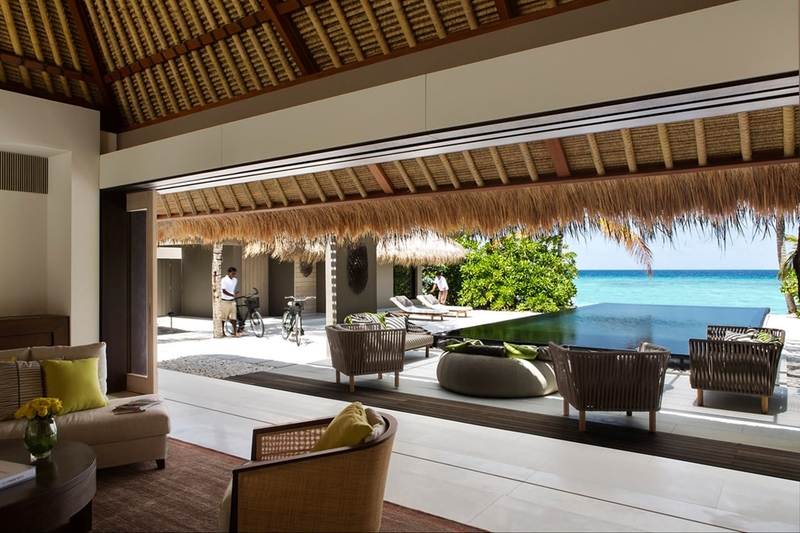 Perched on traditional stilts over Noonu atoll’s translucent waters, the 15 Overwater Villas, each 130 sqm (1,400 sqft), offer an unforgettable seaside living experience. Generous overwater decks feature a dining pontoon and an outdoor lounge as well as a refreshing rain shower and a 12.5-meter-long private infinity-pool. Undoubtedly, an idyllic option for romantic getaways. 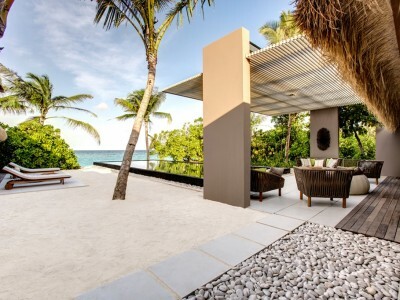 The 14 one or two-bedroom one-of-a-kind Overwater Garden Villas, ranging from 130 to 180 sqm (1,400 – 1,940 sqft), combine stilt architecture with a unique garden experience. 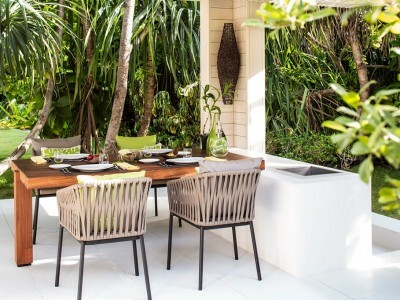 Perched right over the lagoon whilst surrounded by a lush private garden, they bestow a high sense of privacy and all the pleasures of a seaside setting. 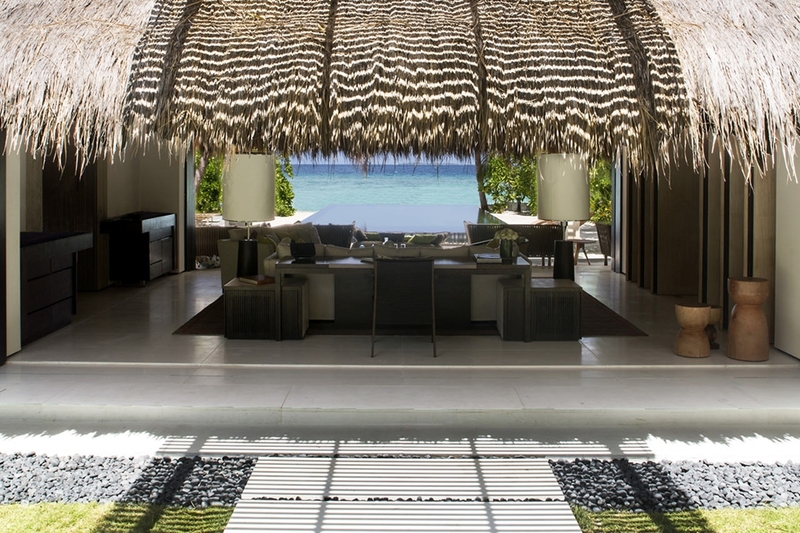 Overwater Garden Villas feature ample overwater decks with a pergola equipped for alfresco dining, as well as an outdoor lounge, garden rain shower and a 12.5-meter-long private infinity-pool. Accessible through its own private berth and jetty, the four-bedroom Owner’s Villa is Cheval Blanc Randheli’s most exceptional residence with 1,180 sqm / 12,680 sqft, offering lavish private spaces and exclusive facilities, such as private spa and oversized outside pool, for an ultimate holiday experience for families and friends. Named after Château Cheval Blanc’s most sought-after vintage, the 1947 fine dining restaurant revisits French culinary know-how infusing it with local inspirations. Set in a lush tropical garden and connecting to a wine cellar and a cigar lounge, the 1947 is the expression of our Chef ’s sparkling creativity in an understated island atmosphere. The White contemporary restaurant serves unique breakfast delicacies and a casual brasserie-style cuisine around the clock. 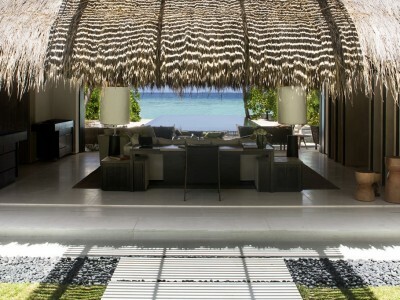 Its delightful terrace with a splendid reef view is the perfect place to relax at any time of the day. Playing on symmetry and duality, the Diptyque invites guests to savor the best of Japanese and Iberian gastronomy in a daily live-cooking show performed only once per evening. Named after a Maldivian breeze, the Dilanii is a lively fish restaurant offering the freshest seafood on a relaxed outdoor terrace, which transforms into a festive venue in the evening. Set poolside, the White Bar offers all-day cocktails, refreshments, pastries and light snacks in a convivial atmosphere, highlighting tropical flavors and culinary exclusivities. At any time, guests may enjoy a vast choice of fine dining and more casual fare through our Carte Blanche Menu. 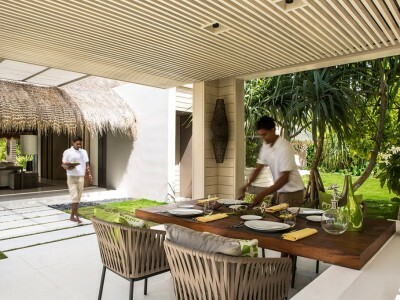 Our chefs are available for live in-villa cooking in the dedicated dining pavilions or for barbequeing on the beach, and will cater to our guest’s fancy for one-of- a-kind dining experiences in remote locations of their choice. 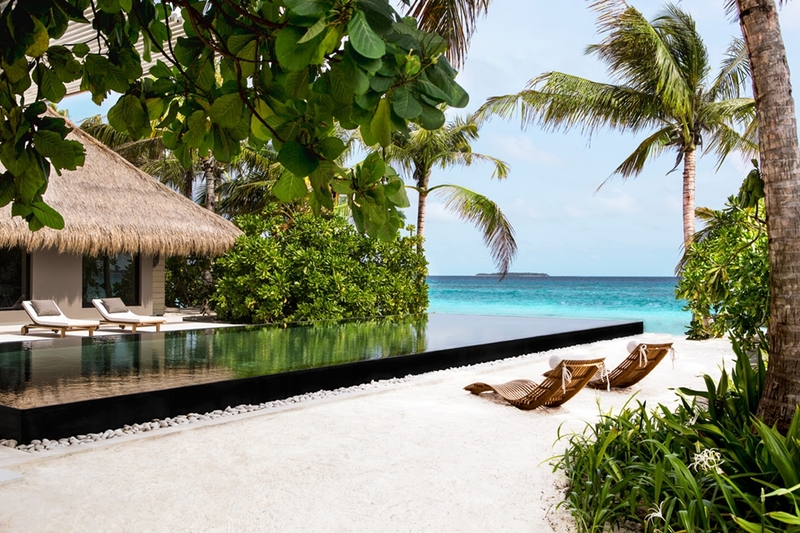 Cheval Blanc and Guerlain have created an idyllic spa retreat offering exclusive tailored treatments and a series of exceptional therapies such as the Sun Ritual or the After-Diving Experience. 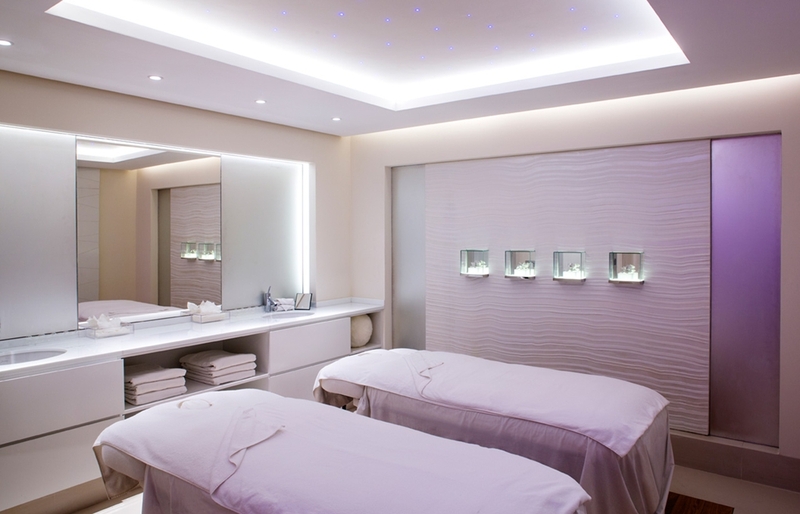 The Cheval Blanc spa features four single and two prestige treatment villas for two, the Orchidée Salons, where guests can discover Guerlain’s renowned skincare range. The Yoga Studio, the Relaxation and Thai Pavilions, a Hair Spa by Leonor Greyl with exclusive natural treatments, a beauty studio and a barber shop complete the Spa’s beauty offer. Cheval Blanc Randheli offers a wealth of specially designed children amenities, linen, furniture and food & beverage menus for the enjoyment of its younger guests. In addition, a rich portfolio of nature, culture, adventure, artistic and sports experiences provides many memorable activities for kids and families to partake in. Parents can also entrust their children up to 12 years old to our Carousel team, happy to entertain them in a setting conceived for fun activities and memorable discoveries. Teenagers can enjoy the Paddock, our teenage lounge equipped with all their preferred entertainment and perfect for teenage socializing. Exclusive events created with prestigious LVMH brands and beyond, as well as up-and-coming talents, allow guests to discover their savoir- faire in an entertaining atmosphere. A concept store – a true mine of local curiosities and limited-edition items from sought-after brands – welcomes guests for an exclusive retail experience, also available for private viewing on request. 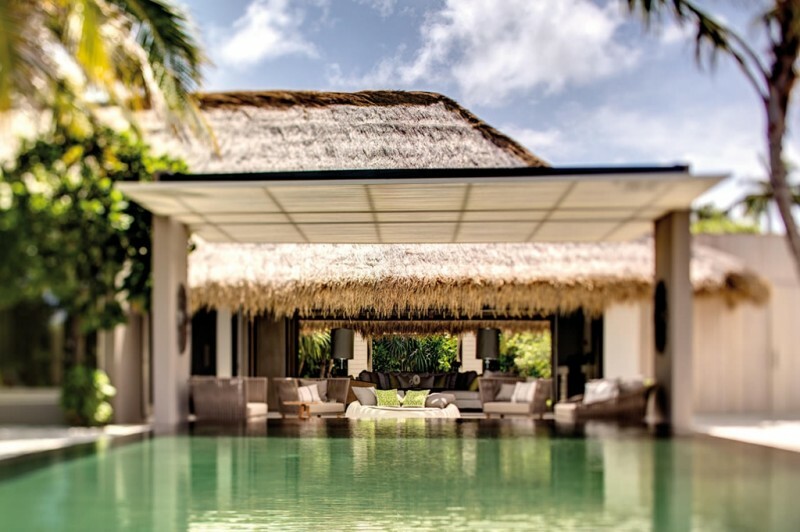 The striking 25-meter-long square infinity-edge pool and its beautifully landscaped surroundings provide an ideal getaway from the villa’s privacy. The Maldives’ unparalleled underwater beauty can be enjoyed through house reef snorkeling or private diving outings to select nearby dive spots. PADI certification is available for beginner and advanced divers. A genuine marina hosts Cheval Blanc’s fleet of local dhonis and a yacht, ideal to explore the Maldivian sea. State-of-the-art sport facilities are available with personalized training. Our health-conscious guests may enjoy an array of reinvented nutritional snacks and fresh juices while relaxing in our spa gardens and beaches. 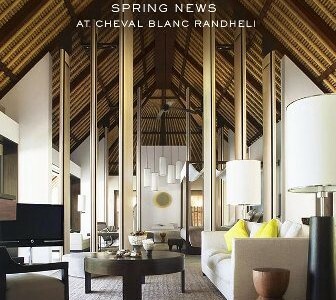 Be the first to review Cheval Blanc Randheli.